Click Tasks in the Navigation bar. Click the Send Status Report button in the Ribbon. 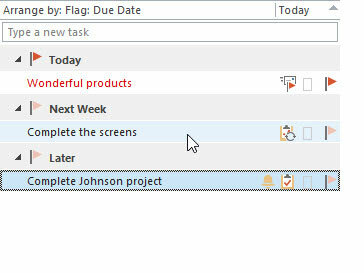 A Message window appears, and the name of the person who assigned the task appears in the To box. Enter any explanation that you want to send about the task in the text box at the bottom of the form. The text that you type appears in the form. You can send status reports as often as you like — weekly, daily, hourly. It’s probably a good idea to leave enough time between status reports to complete some tasks.